September 10th, 2018 was the official 13th Birthday of Wealthy Affiliate! It almost feels surreal that it has been this long already, the years truly do fly by. This is somewhat of a milestone for WA as a business, but more importantly as a platform and a community. We have officially hit our "teenage years" in business and to be honest, I couldn't have predicted where Wealthy Affiliate is today, nor can I predict what it will look like in the future. That is actually the most exciting part about business, the inherent idea of blind evolution based on "in the future" ideas. You are probably noticing that two of these are "hard work" and the reason for this is the fact that as I understand it, hard work is the key component to building a successful business, in any niche, online or offline. There isn't a day that goes by where I fill all of my gaps in my day with "work". It doesn't feel this way because I enjoy what I do, but it is the reality. The same with Carson, we share the same work ethic (which is important in business partnerships) and we are very motivated to get better with every day that passes, and HARD WORK is the key component to this. Like a wise children's book once indicated, if you want to be the lazy pig and build your house (business) with straw, it will get blown down. If you want to work hard like the third little pig and build it out of bricks (while all the others are playing), you are going to have a secure, well protected and long term business. The other aspects that we have always believed in is our ability to handle failure. It happens more frequently than you think, things fail (or go wrong) every day. We are constantly putting out fires, not just with technology, but we are managing a lot of different relationships and human connections on a daily basis. Things are not always going to go right, and that is how it goes. It is how you manage these failures and hiccups, is how you much success you are ultimately able to create. And lastly, remain flexible. We see companies around us failing that aren't willing to change efficiently, sometimes without any notice. No matter how big a company gets, and how big YOUR company gets, you need to be willing to adapt to your environment and change frequently and with speed. On this topic, let's have a quick look at the changes within WA in the past year. In the past year we have kept the foot on the pedal, probably more so than we have any other year prior. It has been a busy year though and of course, each year doesn't come without its fair share of challenges, but with effort and persistent, it has come with its fair share of success. There have been things that we have invested time into that simply didn't resonate with our audience. We have tried and tested sales copy and pages that didn't convert. We have released platforms that didn't hit the mark. We have made content/training mistakes. We are human. But guess what. These are ALL things that we can say every year. If you aren't running into challenges and making mistakes, then you have no benchmark to work from to improve your platform, service and brand. We have also rolled out some really awesome platforms and significant advancements, not just here, but on a broad look within the technology and affiliate marketing space. Here are some releases that have taken place in the just the last 9 months. As you can see, we have been busy with 10 significant platform releases in 9 months, along with 100's of much smaller (and unannounced) platform, community, and technology improvements. Expect A LOT more of the same as we move forward in the year ahead, we have some amazing stuff coming in the pipeline, much of it really close to being released. It is interesting to think we have reached the "teenager" status in the business world. According to plenty of statistical documentation, the odds are aligned against you to ever get this far in business. 95% of businesses FAIL at this point (apparently), and the very idea of that can be discouraging. Personally I think that if we operated with this idea in our mind, we would be much more likely to fail. Don't listen to stats, they don't dictate your success. Your action and effort does. These are principles we have always followed and believed in, and will continue to do so. Our effort in the year ahead is going to be apparent. We have had ideas for many years, that are going to finally come to fruition within our 13th year. I like to say every year that this is going to be our most productive yet, but our 13th year is truly going to be GROUNDBREADKING in the productivity department. There are many platforms and technologies that we have been working to implement and integrate that are just going to start "clicking" along in complete uniformity. We have entirely new platforms coming. We have vast improvements on existing platforms. We are investing heavily in the technology and underlying infrastructure that powers not just WA, but the brains of your businesses. And in respect to training, we are going to be making our biggest leaps we ever have within our training environment. Not just the quality and framework you have to learn here, but also the knowledge, resources, and additional types of training that you are going to get to engage within. We have, and will always take the iterative approach to WA. We have spent the last 13 years improving the service and community here, and we will continue to incrementally improve WA with every day that passes. This avoids the concept and idea of a "one hit wonder", which this industry has become synonymous with. Rather, we have a service that has undergone 13 years of progressive, evolutionary, and innovate updates that have very much been the result of your amazing feedback. Our 13th year will be our best yet, because we are working harder than ever to make sure of it. When you turned 13, there was likely inherent pressure to mature. More responsibilities, more assumed capabilities, and hopefully as a result, more trust in your abilities. In business, it is the same thing. Over the years we have felt the subtle pressures of responsibility within the affiliate marketing space, and entering our teenage years I know that this is going to be something we handle with more regularity and consistent focus. Since 2005, we have been operating a platform and community that lives and breathes affiliate marketing and Internet entrepreneurship, and during this 13 year tenure in the business world, we have learned a great deal. We plan on remaining the leaders in this space and will continue to engage YOU in discussions about the state of affiliate marketing, question existing policies, best practices as well as methodologies, and present you with the best ideas and platforms to fulfill your journey within the online space moving forward. We are going to help people in every respect based on our knowledge and understanding of the space, and are going to be leveraging our clout and relationships in the space to offer you more insights, more security, and more opportunity into your own respective affiliate marketing businesses. None of this matters without YOU. We built WA for you, because of you. We want to extend our thanks to everyone here within the community. Without you, without the constant feedback you offer, and without your ongoing support, Wealthy Affiliate wouldn't be what it is today. Our goal since day one has been to over deliver based on our promised, and drastically over deliver based on what the industry norm/standards are. We believe we have done this, but we certainly don't feel complacent and we know there are MANY areas in which we can improve, and many completely new areas that we can explore with our services, community and platform. So again, thank you for being you. Thank you for being part of the Wealthy Affiliate family. Exciting things to come in our teenager years...that is something we can positively guarantee. The completion of this project could catapult WA to a new level of performance and customer delight. Joining Wealthy Affiliate in the thirteenth year is something to think about and notice that you are being trained by well qualified and experienced people with a vision that is worthy catching up with. I have a lot to learn knowing that I am in an ideal learning environment with serious people. Thanks Kyle and Carson. Congratulations Kyle and Carson. What a journey! WOW 13 years! Thank you for sharing your journey, very inspirational! I have been very busy over the last month with my WA review. It has not been easy but with perseverance and research, I have finally finished it and can now continue with my training and keeping up with the community. For this reason I had not seen your Post, I was totally absorbed! I really enjoyed getting to know WA more and hearing about your 13 years! Definitely, a journey of trail, error and perseverance. In my Review I called WA The One Stop Option! It is that and much more, and from what I have read, there is far more coming which will make WA even better with new tools that will give greater help to its members and the Newbies like myself. We receive an amazing training easy to comprehend and I, as I am sure, we are all here at WA, very excited at the prospect of all that is coming to WA over the next months, which will, without a doubt, assist us all tremendously, with our future in becoming the very best Affiliate Marketers each one of us aim for! What an extraordinary achievement over 13 years and here’s to the years to come of more innovation, evolution and many more achievements. Also to an even greater community, of which I am delighted to be part of! Thank you Kyle, Carson, for all your hard work. Also thanks to Jay and the WA Team. We always have new stuff coming and improvements to existing platforms. Its what excites us and drives us. Although we are the only one stop shop platform in the industry for affiliate marketers, our most exciting and launch filled year is ahead of us in 2019. You are also going to see integration between platforms reach new and exciting efficiency levels, making your life easier than ever as an affiliate marketer. Looking forward to the year ahead and having you as part of it Terri! 2019 is looking to be an exciting year. Thank you so much and I, being part of it!. I could be a part of this marvelous world. money. To have found this platform now was a lifesaver! Thank you so much Susan, we are proud to get to communicate and be part of such an awesome community of so many awesome and diverse folks. 2019 is going to be a fun year ahead! Both of you had suffered the pains, now you are receiving the fruits of your toil. I am a newbie, 70 years old from Philippines, have not earned a single cent from the internet. Now a Premium member. Hope I cope and learn all the lessons and apply and finally earn. Keep up the GOOD WORK, you will help many people. Thanks Felipe and it is really wonderful to have you here as part of the family at Wealthy Affiliate. I look forward to working with you! Wonderful platform to be in for all of us. I have seen many progressive and great tools introduced since 2015 and I am excited to see more coming on board, especially this Fall and Winter. Emailing marketing is one area which I hope Wealthy Affiliate will have its own affiliate program. Off course I wish to see more other as well. It truly is great to be here and will continue to going forward. No matter where this profession will lead me will always need to the WA Community and the trainings as an anchor to launch off of and lean on. Happy Belated Birthday to Wealthy Affiliate!! I've been here for a little over 2 years and it's amazing to experience the changes I've seen here. In my opinion, Wealthy Affiliate is truly 'the real deal'! I don't believe there is any other training platform in the world that is truly dedicated to helping its members to achieve successes in their online businesses. Thank you Kyle, Carson, Jay, Site Support and to the rest of your team!! I'm sooooo grateful to be here! Cheers and here's to more successes and growth.. (lol, am having a few for you even though I'm a wee bit late...)! You and Carson have done a great job over the last 12 years. I have only been aboard for a little over a year. I will be around for a long time god willing. I do not want to miss any of the new things WA comes up to improve internet marketing. Belated Congrats and how wonderful to hear all that has happened here at W.A. I am still struggling to get my first website to a good level for attracting visitors/traffic. I am still how to manage when things don't succeed as I had hoped and keep reviewing my aims and goals. I keep telling myself my 3 P's Patience---Perseverance---Persistence...Wishing you well and many thanks for all your hard work and reaching this point in time. I love the 3 little pig analogy. WA has taught me so much, yet I have so much to learn. The amount of knowledge that is here between, Kyle, Carson, Jay and many members here, is priceless. I have researched many programs and this is by far the best I have ever seen. Even the programs that charge a one time fee, don't compare to this. If I ever do become successful, I will still remain a member here. I absolutely love it here. If I don't get back to my post, I will never be successful and will not be able to afford to stay. Happy belated birthday to WA it’s definitely the best online education in content marketing and website design. The improvements are radical and the new mobile layout, is as easy to navigate as it’s desktop counterpart. Hard work is what I need then as you say focus follows within the hour of engaging with it . I really have slacked off but I need to channel it as you have expressed. Hereby I wish WA with continuous success and continue to stay strong within the competitive online marketing space. People like me need platform like this in order to resume our "making money online" journey. Without the training, the community, the absolutely value-for-money site hosting & site support. My online business building journey will only remain as a "dream". Those are the solid fundamentals that I'm learning & continue to improve along the way by using the techniques taught here. Thanks again Kyle & the team. Congratulations on WA's 13th birthday. My first year with you is having its ups and downs but I seem to be finding a rhythm and making slow bu steady progress. Best of all is feeling less like an employment "pee-on" and more like the entrepreneur I realize I have to be as my "golden years" draw ever closer. IMHO, it's actually good that you have gaps in your day between bursts of hard work. Since we share a taste for old stories (I never liked the term "fairy tales"), I remind you of the legendary wood cutting contest between the big monster lumberjack and the puny little opponent. The monster just dept pounding steadily all day while the PLO kept going away for 5 minutes and coming back. At the end of the day, both volumes of chopped wood were tallied and the PLO was the clear victor. Everyone was astounded, including the Monster. Their biggest question, besides "how did you do it," was "where did you go on all of those breaks?" PLO's answer: "To sharpen my ax." IMHO your post is an excellent example of the fine art of ax sharpening. Thanks again for posting. Congratulations Kyle and Carson. Thank you for keeping WA up to date. I do agree if we are unable to adapt to the changes efficiently, our businesses will be affected, as well as the results. Thank you for such great service. You both are really the perfect business partner and coaches for people with zero knowledge in creating a website like me. Thank you for helping us achieve our dreams and for guiding us all the time. You guys are the stars! Congrats, Kyle and Carson, for building such a successful platform. Both of you are leading examples of how our own businesses should be built; catering around the needs of our visitors and members first, and not our own needs. Thank you for giving us the amazing training, tools and the ability to be so tight-knit with one another. It's one of the best feelings to be part of such a wonderful community. Happy birthday WA. Really excited for you two, as what now turns out to be successful entrepreneurs. When starting and running a business, a million things can happen that have the ability to sink your ship. But sofar it is safe to say that you guys didn't just barely make it here, you guys "have made it". Congratulations, I am very excited and also very proud to be part of this community. Also really excited for the changes and improvements that have already been made, and for the once that are coming. I feel like a little kid who has been told it will get a huge Christmas present, CAN'T WAIT! All the best and many blessings to you to come. Congrats on your 13th birthday. "Time to grow up", he, he. Just joking a bit. Great comparison of WA and the teenage years! It is great to see the latest updates and the developing of WA! I have to admit that I feel a little bit depressed because, since I came across WA five years ago for the first time, I didn't realize the comprehensive system of WA. I needed to wait until this year to start the "real WA engagement!". What a shame! So, I have lost five years because of that. Starting more seriously 6 months ago made me really excited about the WA and the whole online marketing world. Now, it became my next passion. Thank you also for creating this opportunity. I am enjoying staying around. After I have got the idea and learned how to easily create content, thanks to your encouragement, every article I create is my small new success. Even more than that, considering my English and the fact that I never experienced writing for the web in an so intensive way. I am looking forward to seeing the new updates and wish WA to stay here for a long time to come! And, hopefully, me as well. It's OK Igor, you don't want to dwell to much on the past and what you "could have" done, rather focus on the exciting future moving forward to what you WILL accomplish. It has been wonderful getting to know you thus far and I really do look forward to seeing your progress and accomplishment in the years ahead. I am looking forward to progress ahead! Grateful to be part of the family. I feel fortunate and thankful that I have found WA. Made the right choice and looking forward to excel in my business. A million thanks to Kyle & Carson who work so hard towards building WA and both of you set a good example for all of us to follow. Your welcome for the many thanks you gave us here at Wealthy Affiliate. I see the teenage years looking very promises, despite any failures. More hard work is all it takes. You guys have done an excellent job thus far, keep up the good work. Your work is deeply appreciated. What an inspiring post. I am so happy to be part (baby) of this wonderful company and have you both with so much thought for all our futures, working to make thing better and better. Hope to do that here too. That will make me 85 but who cares. Hi Hard work has yielded results. I want a change. I failed to post a page "picture" that you suggested to my website before I started writing. Now I can not back because I can post in the page afterwards but have to delete the website or all the good has written. The change to later add a "picture" to my website, I hope make it's easier for many forgetful people like me. You have make a very good work together. Congratulations Kyle & Carson on your success, it very much well deserved. You've really built something amazing here, and is the best Affiliate Marketing Platform period. Amazing training, great community (who are always willing to help) and I'm glad I'm apart of it. I'm really looking forward to the new technology's coming, very exciting. We are really glad to have you as part of it Steven. We are going to remain the industry leaders and continue to push the capabilities of technology to make YOUR life easier to create/grow/manage your respective businesses online. Happy birthday WA and thank you Kyle and Carson. I have a 13 years old teen at home and you are so right, I have to learn quicker and remain flexible. You are doing great. I am proud and blessed to be part of it. We are so grateful to have found this platform in the sea of products out there. Happy Anniversary and we look forward to a long relationship with WA, with you guys, with the support team and the whole community. We are here to stay and will be sharing the opportunities with others because we truly believe in it. It is almost scary to venture in after reading all the accomplishments in the last 13years. There are so many technical terms that I have no idea what they are. I now noticed that I was totally kidding myself when I said that I only wanted to work 10-15 hours a week. I am really going to have to apply myself, and I will. The beautiful thing is that I will be doing it from home. Thank you, Kyle, for this fantastic Blog. Happy thirteenth birthdays. Your teenager years have started with many Entrepreneurs writing their success stories. Every time I read something from you be it training or otherwise, I read your heart. It is because of the good heart that you have towards other people's success that pushes you to be doing all the hard work to build WA for yourself and whosoever will why you are seeing so much success leading up to your teenage year in business. My prayers are going up for you and Carson for the love that you are showing to the WA community. Better days are ahead, More innovations more success and a much larger WA community of business builders. Thank you and congratulations on sustaining the brilliant platform and providing us with amazing tools and training. I really appreciate each and every hour I am here at Wealthy Affiliate. I know that I would not have accomplished all that I have in my short time here without Wealthy Affiliate and the fantastic community here. I thank you both and Happy Birthday Wealthy Affiliate. Wishing you many many more years to come. I am glad to have found WA. You and Carson have started this program from scratch to where it's at now. You are the parents of WA and you have worked hard and watched it grow from birth to now a teenager. You have helped so many of us who were struggling, to find our way. Especially me. How can I forget? WA is here to stay. I am in for the long hall. It is hard but I am determined to see reach my goal. Continued success to you and Carson and long live WA. Hard work, Hard Work, I love that. LIke my dad says words are cheap and action speaks for itself. I love that I have the opportunity thru WA to develop into a successful business man, its up to me and me alone. I also like that the company isn't staying complacent and is developing new technologies to better serves us. Keep the hard work, it show that you guys care on our success. You and Carson have done an amazing job leading Wealthy Affiliate to the achievements you have. I appreciate you sharing so openly and offering such amazing and transformational training. I also appreciate understanding your business perspectives, mantras, and thoughts processes that contribute to the success of the business. My glass is up for a cheers to many many more great years of success! Hope to meet you and the WA team in Vegas soon! Congratulations to you Kyle & Carson are in order, you both have made our journey to financial freedom interesting and real. I'm so glad that I rejoined you guys at the right time. WA has so much to offer and there's more to come. The support from my dear friends in the community is second to none. Thank you, thank you, and thank you again. Wow! I'm so excited right now. Can't wait to see what you guys have been up to. I am so grateful that I have found WA, but to see the effort you and Carson go to in creating the best platform and more, is heat warming. Thank YOU for caring so much about US and listening to our thoughts, insights and ideas. That is one of the things that makes WA, and you both as the founders, stand out from other companies. Happy Birthday! A BIG HAPPY ANNIVERSARY to you, Kyle and please extend my sincere appreciation along to Carson for all you two, and the team working with you, have done to make this the best training platform for IM on the internet and in the world. It truly is amazing how much work you all have done in an effort to help us all succeed. and you are always looking for ways to improve the picture. P.S. Now I have to update a post. I can't wait to see what is coming up next so I can update again. Congrats Kyle & Carson, Jay & the WA team. You have created, in spite of minor detours, more than an affiliate marketing platform on which aspiring online entrepreneurs the world over, regardless of borders, age, gender and other criteria can achieve financial independence, but more than that, a global intertwined community helping and rooting for each other on the way to personal goals. The almost universal response great posts and success stories get here is also present there when some members feel down, unrealized or discouraged. The WA ambassadors are very involved and provide a lot of help, guidance and assistance to anyone asking for such, regardless who their mentor may be. The training put together by premium members compliment the Friday evening weekly live training sessions with Jay who is very patient, understanding and generous with his time and knowledge. Whenever we read posts about a WA website ranking in search engines from our WA members, we are all very excited and happy because, not only it reaffirms the value of the WA platform as a means of making passive income, but also tbecause one of our WA members has reached that achievement, scoring for our global WA team, yet again. May God bless you for your continued support and the generosity of spirit which you exhibit with us your WA members, be it basic or premium. The most important part for me in appreciating WA as a Web Host is it's SiteRubix Backup of all the sites it hosts to the latest update of every website. I feel I am secured as I learn and establish my business with WA. My efforts will never go to waste if ever something goes wrong with me or in the technology. Go on WA, be with the people and the people be with you. So awesome to be a part of a team that is so dedicated in teaching and helping those who desire to have a business, but also be an example of how a business is to be built and how to be successful. Thank you WA, and community, it's great to be a part of it. Happy anniversary Kyle and Carson. We really have to thank both of you for coming up with the concept of building an online community that plays it forward as we gain more experience and knowledge about affiliate marketing. 13 years in any business is a long time but in my view, your approach to change is what really makes WA unique. Once again thank you for being yourselves and providing such an awesome platform. Happy thirteen WA birthday! Wow that’s great and I am glad to be a part of WA family and Community. Thanks for allowing me to be apart of WA. I am looking to truly promote WA in the soon near future and that a promise cause I believe in WA team. Congratulations on this milestone! Thank you for all your hard work. WA makes it so much easier for newbies to learn and focus on their businesses. I especially appreciate the Site Support - your team is awesome and have helped me so much with the techie stuff otherwise I may have already given up! Happy 13th birthday!! It takes a lot of hard work and determination to get to what you have created today. I am thankful for all of the hardships and the hurdles you have overcome. I am a part of this community because of it and through your example I hope to be a successful part of it for many more years to come. Thank you for sharing your dream and your wisdom with us!! Words alone cannot express my gratitude to Kyle and Carson. You have given self belief back to so many within this community and I for one will go all out to win the trip to Las Vegas. It would be an honour to meet and shake your hands personally. Thank You Kyle, Carson and Team! I love to be a part of WA. So excited about the future! I think it’s awesome that you, Carson and also Jay are keeping in touch with us members personally, even if the company is growing and growing. That‘s magnificent leadership!!! Many thanks for all that you do, Kyle and Carson. Thanks for being there for us with your fulfilling leadership and inspiration. Most of all, Congratulations for a job well done over your previous 13 years plus, of perpetual goal setting accomplishments for us all. Going mobile may be the shot in the arm for my website to offer to my visitors. My niche is promoting Wealthy Affilliate marketing. I’ve known you since you were 2 years old and it has been an awesome experience watching you grow into a new phase of your life… the teen years! Now that you’re a teenager, I am looking forward to your continued growth and maturity as your life experience will only make you stronger! It is an amazing feat for Wealthy Affiliate to have reached this stage. A true testament to not only the co founders but the teams that they may work closely with on a regular basis. The feel good factor is certainly something that I and probably others do sense being involved in this community. That is a sure sign of success. May it continue for all members !!! Thank you, Kyle, for helping me which is helping you help me. Change is happening so fast in this day and age, old buggers like me are getting left behind. Learning is keeping my brain active and dementia at a distance. Thanks for your time Kyle, Tom. I have been here three years and even in that time, a lot has changed. I look forward to seeing all the changes in the future. According to my Google analytics, my traffic yesterday is almost 700%+ more than the same day last year.. crazy! And exciting! It's all due to the training here. Congratulations on rearing a capable teenager Kyle & Carson. WA is undoubtedly the standout offering in this space, as a member it is reassuring to be able to work hard at developing one's business without concerns about the credibility and viability of WA. I look forward to upcoming developments and thank you for your efforts thus far. And all this is for just $49. Are you kidding me! Having been online and trying hard, (and also NOT trying hard!) there is definitely many things that stand out here at WA compared to other businesses online. The BIGGEST one is the accessibility to the owners. And owners who will listen and then act on what they have been asked or suggested. I have never seen anything like it to be honest with you and also never seen 2 guys who are willing to communicate with all, starters, those who have been around for a while and the long termers. Seriously, it just doesn't happen. Yes, other companies have their calls or events yade yada, and the owners are the main speakers, but here at WA you listen and let others speak hence the live chat and freedom to blog. To Kyle and Carson - congratulations and all the hard workers behind the scenes as well. Your ever evolving awesome platform is something I proudly promote every day! Just thrilled to be a part of it! Happy 13th anniversary Kyle & Carson. You two have definitely over delivered when it comes to what the industry norm/standards are. I know you have definitely changed the quality of my life & I’m sure many others. Everything about Wealthy affiliate is unbelievable especially the price. Also, I can’t say enough about the site support people you have helping us. Thank you so very much for all the hard work you put into Wealthy Affiliate to make our lives easier & better. but I have actually been with WA over 11 years now. I have watch it change and morph and watched many come and go. Thank you so much, Carson and Kyle, for creating and building and growing this incredible platform for everyone. I found it in June this year and have grown so much in the past 3 months. I can only imagine how you guys must feel hitting teenage staus. Those are really nice words Vicki, thanks so much :) We're working hard in the background with exciting new tools, platforms, and features coming soon! When I reached that age, I got the keys to the family home - no more knocking on the front door. For me, being here at WA is synonymous to me being given the keys to my business! You guys are always keeping abreast of technology and what's 'out there' so that we can concentrate on building our business. I have a small website hosted on a different platform - this was way before I came across WA and before SSL was mandatory. Believe it or not, it wasn't that long ago. Anyways, not one for reading every single email in my mailbox, however, last month my eye caught one concerning SSL and mentioned that you can get a FREE automated open certificate from ISRG called Letsencrypt - nothing dodgy - it just needs to be 'activated' by the host provider. I can't remember if it was an email from SUMO - A bit busy now to check. To cut a long story short, I had to email my host and ask them if they could install/enable this certificate which they did (within hours) and I now have an SSL enabled site. I'm saying all that to say that having a platform like WA, we are well taken care of on the technicalities of our website. We don't have to be asking Kyle, Carson or SiteSupport to enable or activate components. It is already done for us. You would have thought that a hosting company would have done this automatically for all its clients that didn't have an SSL enabled site, but no. Being here takes a lot of pressure off us - less worry, less stress, less concerns, and peace of mind where the platform and infrastructure is concerned. Thanks guys I really appreciate all that you do to keep our business running smoothly. Looking forward to the weeks, months and years ahead! Hey Jackie - thanks for the content and birthday wishes :) We're constantly in tune with the industry and we can see "trends" coming before they become mainstream. Adding SSL to all sites was one of them. Most web hosts out there are still requiring people to pay $100's for every individual SSL certificate on a site - that's just not what we believe in. Communicating with a website in a secure (encrypted) manner is important and those that have added SSL to their sites at WA can rest assured that they are leading the industry and the movement towards a secure internet for all! You're welcome Carson. My pleasure. This is a truly honest and inspiring post. I think we forget that you and Carson are real people, with real fears and real ideals for the business you created. I for one am truly grateful that you have built this fabulous community and learning facility and intend to reach adult hood together with all of us. Happy WA's 13th Birthday Kyle, Carson, and the TEAM. I just wanted to say my two cents.. Though I'm fairly new, but I love EVERYTHING about WA. The training on here are PRICELESS!!! And, I'm very HAPPY to be a part of all this. "Wealthy Affiliate" the name says it right. As a Wealthy Affiliate member, your goal to become a "Wealthy Affiliate" where is a better platform to do it than at "Wealthy Affiliate" :))). You guys are honestly great. The effort you put in to improve the platform constantly and your true desire to help and serve others to reach their goals is tremendous! This is the reason, I think, so many have been so active in the community. Truly wish WA the best moving forward, and to you both and others who are working so hard to improve the lives of many! Look forward to meeting you both soon! Nice post & congratulations on your 13th year! I liked the last example of being flexible to change, for if we don't change as the markets around us change we will eventually become stagnant & extinct! I do believe that it takes work, maybe not hard work, but more along the lines of excellent planning! Have a great finish in 2018! Thank you for all you've done. I've been here for 4 and a half years now and it is amazing to see the changes that have happened in WA during that time alone. It is one of the biggest reasons I continue to be a member here because you keep making things better and better to make sure that people here are successful especially those that are determined to reach it no matter what it takes. I look forward to the years ahead and what will be unveiled to make Wealthy Affiliate even better. Thank You Kyle and Carson. Your WA Platform is so superior. It has been exciting to be with WA. Because of WA we have been able to achieve goals. We have so much appreciated the most recent changes in 2018. Looks like some more great changes are about to take place. Will watch with anticipation and take advantage of the good things offered to support our affiliate business. . Happy Birthday and Congratulations for the good work done and noticed! I'm new to your community and love the fact that I've been talking with people from all over the world! All of us with the same goal and helping each other to reach it! What an amazing community of people especially with the news that reaches us today. Thank you WA for bringing this together! Congratulations, Kyle and Carson. And best wishes to all my fellows. I've got two Big Problems that I really thought were nowhere near any solution: (1) I'm OLD, and my dementia or senility is really setting in, so I stay confused and unfocused; and (2) I was, simply, OVERWHELMED by all that's offered by WA. What is so obvious, but what I failed to see, is that you may OFFER all of these things --- but they're not all FOR everyone. So, this next year, your 14th one, is going to be mostly about my concentrating on working and building my WA business' one aspect for me. Anyway, thanks for all of your hard work, and CONGRATULATIONS, once again! Thank-you so much for what you have created here, so that people can have this amazing opportunity to learn, grow, network, and build a business. I would feel a big hole in my life if I couldn't come in here each day to spend time learning and working in a community that gives the Internet and affiliate marketing a good name! I wish you both, WA, and everyone here a productive, successful, and satisfying future. What a great read, Kyle! And to many more years! So amazing to be apart of your community! You two have truly built something that's incredible and changing SO MANY LIVES! I keep wondering, at this point in my game, do I "create a course" and then I think, what for? The courses IN HERE are IT! Why build my own platform when I can just refer? But then I think, how do I reach that 5 figure without "my own product" as I have seen many reach that figure with their own product? How do I double what I'm earning without doubling what I'm doing? I hope the future of WA will answer these questions for me! Haha, a quick search away from A LOT of training resources, something that many don't realize even if they have been around here for awhile. The training platform here and the accessibility/organization of all of the training is something that is going to be a big focus in 2019 and we really do have a lot of exciting ideas in this respect. Bookmarked for those times I feel like quitting. So many good nuggets in here. I'm finding that the adaptability is a big one especially considering I'm approaching 4 years with my site/business. Thanks guys. So blessed and grateful to have stumbled on this platform. Nathaniell has been with me from day 1, (2014) as well as the community and the Site Support. Nothing short of amazing. Looking forward to what the future has in store. I am so glad you made that decision, you have and are such a valuable part of the community here Loes and we are truly grateful that you found WA! An exciting journey lies ahead and we certainly are not resting on our laurels. Thanks again for the kind words and the ongoing support! Hi Kyle, I am in so bring it on. Congratulations on your 13th year and best wishes for many more. I feel so fortunate the I found WA, it really was a fluke, I was just browsing looking for ideas on earning income from home as I approach my retirement years with no pension, and I stumbled on Wealthy Affiliate. I have always lived by the Pay-It-Forward principle (long before the movie), it was something my father's parents instilled in him and he passed it on to me. So this community seemed like a natural fit to me, and I have not been disappointed. So thanks for everything you and Carson have done the past 13 years, and I look forward to see what is up you sleeve for this coming year. I feel blessed every day to be a part of this wonderful "pay it forward" community. The level of knowledge and expertise of many (well ok, most) here far exceeds my own, but I have never been made to feel less or looked down upon for what I lack. Quite the opposite, I've been supported and encouraged by every single member, new and old (I mean long-term, not age!) alike. What you have created is a safe environment for anyone to learn to stretch their wings in their own artistic ways, and be applauded and rewarded for doing so. That is a miraculous achievement! Forever thankful to you, Kyle and Carson. Thank you for all your support and everyone else here at WA! It's been a struggle for me with school and building my on line jobs for students and discounts for students as well along with support they may need from a tutor or another student. I don't have even health of this done that I want done because of school. I know at times it can be frustrating but I have more fun and associating with other affiliates, the difficult times are not so much. Just little hurdles to hey through, which again, with the support of this group it is never a mountain for me, except school being in my way some. I do not have much further to go and I think my website can be a huge success when I stay on to if it. I'm going to do like you do Kyle, and at least look at my site everyday like I used to because I never know what innovation may come my way. Great job to everyone and keeping this going! Carson, Im showing I only need 100 more people to go to Vegas. I'm not finding the others, and I thought I was getting paid for them. Where can I find them and what do I do to get paid. Thanks for the feedback. Oh dear, it will be going through those awkward teenage years and getting acne soon! This is truly by far a rockstar platform. Things are progressing fast and for the better. Mobile format is running great on my Android device. Wow, 13 years! I can't believe it has been that long. I also can't believe that I have been with this platform for 9 of those years. 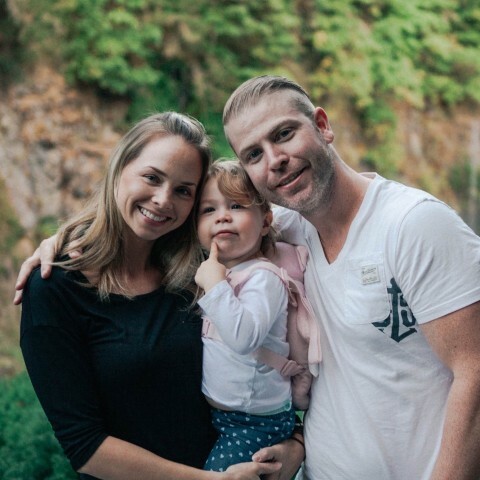 The fact that you and Carson have constantly been on top of changes and trends in affiliate marketing and all the improvements that have been made to this platform over the years is the reason why I have always returned to WA. Life has gotten in the way, as well as countless bouts with "shiny object syndrome", but I have always maintained my membership here, as I knew it was the best place to be. I can't wait to see all the changes to come! Thanks for sharing Kyle, it`s lovely to know that even a large platform like WA sometimes feel they got something wrong and have to correct it and move on. It`s a real motivation to know that you never feel you`ve reached where you want to be and relax. I`m sure WA will keep getting better and better, I feel lucky and proud to be a member of this community.Cheers to you and the guys in the background who keep this community going. Wow, this is awesome! I'm definitely impressed with what WA has grown into and excited to see what will happen next. You guys have done a GREAT JOB so far!! So celebrate!! I've been blessed to be around at your early stages. So I've seen this thing grow from a baby to this wonderful teenager. And I will be around when it becomes an adult as well. Because as the company grows the members do as well. I would have loved if you talked about some of the failures or things you scraped so members can learn from them. That's a lot of time, I suppose we should be working on a succession plan at this point then. Been a great ride thus far and we are really excited about the journey moving forward...and Vegas in the year ahead!